When a piece of granite is cut out for the kitchen sink, this leaves a narrow strip about 3.5” wide in front of sink. Although granite is the 2nd hardest natural product in the world (only diamonds are harder), it is extremely fragile. This narrow strip is very easy to is crack or break. We have seen this narrow strip crack from people sitting or even bumping in to it. To make sure that this does not happen, here are two strengthening procedures we preform. We cut 2 grooves on the back side of the granite. One in front of sink & one in back. 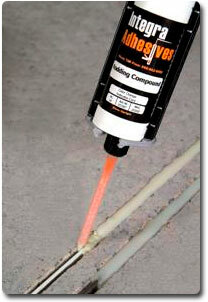 We then embed, in an epoxy resin, a metal bar (1/8’x1/4’x3′) in each of the grooves. This adds a tremendous amount of strength to the cut out area. 2. Add a layer of fiberglass to the entire back of the granite piece. This adds another great amount of strength to the cut piece. Usually six months to a year after other remodeling companies install granite, we get called out to repair the front of the sink that did crack or break. With these two processes, we can guarantee that this will not happen when we install your granite. We do not charge more for these two processes. Not all granite has to be sealed. Some granites are so hard and dense that they would never absorb even the smallest amounts of sealer. However, every single piece of granite or marble we install, we seal using the top of line sealer, called Bullet Proof (which is now owned by Dupont). 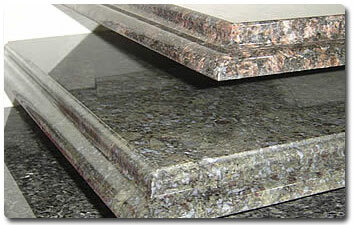 Less than 20% of all granite fabricators in the Houston area seal their product(s). Would you like to learn more about these techniques?